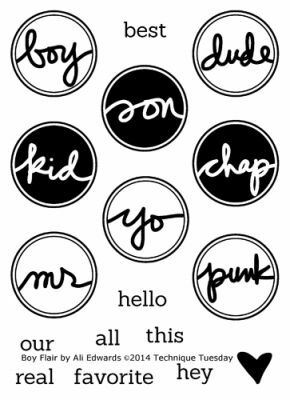 This set of Acrylic Stamps are meant for your Little Tike or grownup. Designed by Ali Edwards. Stamp Set by Technique Tuesday. Acrylic Stamp Block is NOT included. Stamp Set by Technique Tuesday.